In a recent blogpost, "Tracking the Footprints of the Arctic Methane Monster" (July 18, 2014), robertscribbler suggested that there was less coverage of, or reduction in, Arctic methane research. Actually, major Arctic methane research is underway, fully funded, and significant information is being made publicly available. What follows is a response to his post. 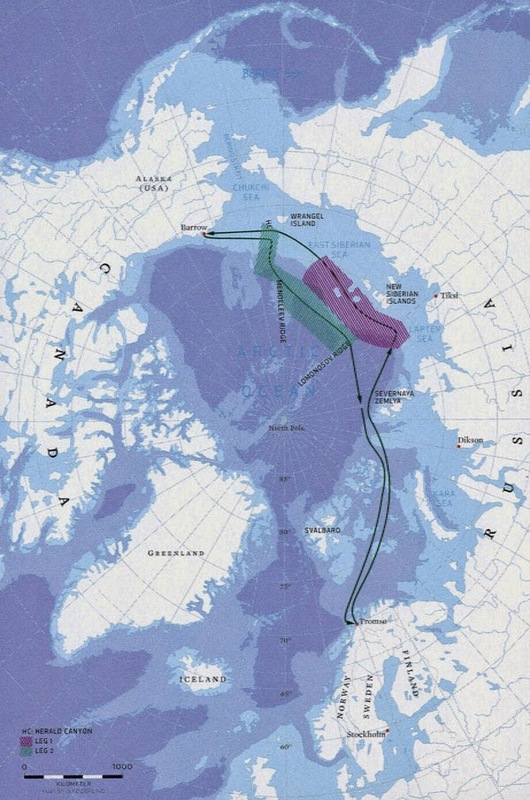 The (Carbon in Arctic Reservoirs Vulnerability Experiment (CARVE), experiment is ongoing as part of the NOAA ESRL Global Greenhouse Gas Reference Network’s aircraft program. The last data it reported was on July 12, 2014. (See the ESRL link in the sources for a full list and the CARVE data link). CARVE data from the 2012 and 2013 seasons are available on the JPL website (registration required). CARVE is now part of the ABOVE program, which is a major research program during the next 5-8 years in Alaska and Western Canada, which includes CO2 and CH4 studies. The current funding runs through 2016 under Bill Munger. See the links in the sources below. The British NERC methane research project is underway, flying over the Scandinavian tundra, forests and wetlands, as far north as Svalbard, and into the Atlantic to track methane sources. They have a webpage and blog which updates their flights, tracks and at times, findings. See the sources below. What is really missing is the monthly and annual global CH4 data trends that used to be available at the ESRL/GMD ftp. The EUTMETSAT METOP IASI data for methane availability has improved in the last few months, with both METOP 1-B and METOP 2-A imagery now fully available for a 3 day download period. I continue to collect the methane imagery daily. More on this data and imagery in another post. See the sources below for the updated link page. 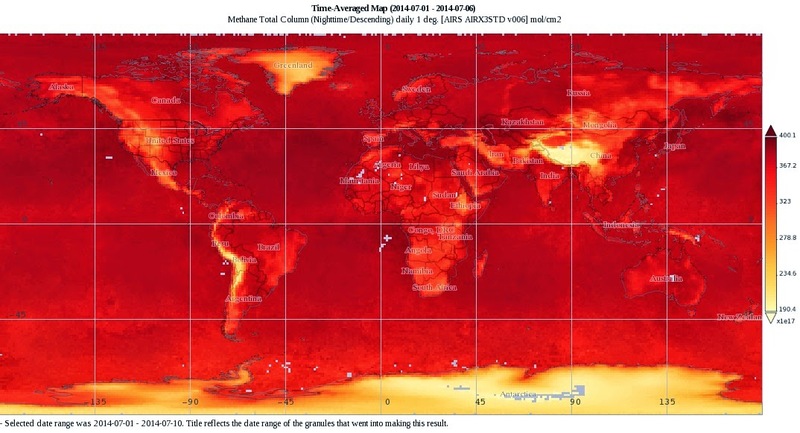 Here are the highest global mean methane readings from the July 20, 2014 from METOP 1-B am/pm at 469 mb to demonstrate the methane high concentrations in the Northern Hemisphere which may be related to the forest fires. More on that in another post. Natalia Shakhova conducted about a 45 minute interview with Nick Breeze now available on Youtube in 3 segments. She was discussing Arctic methane issues prior to departure on the SWERUS-C3 expedition, now underway. At times, Semelitov comments off camera. The links are in the sources. "IARC scientists Igor Semiletov and Natalia Shakhova have been busy getting ready for an international research expedition to the Arctic Ocean that will take place July through October, 2014. The largest international research expedition that Semiletov and Shakhova have been involved in, the SWERUS-C3 (Swedish-Russian-US Arctic Ocean Investigation of Climate-Cryosphere-Carbon Interactions) program is expected to last 100 days with 80 researchers on board covering the northern stretches of the Laptev Sea, the East Siberian Sea and the Chukchi Sea. This is a Swedish, Russian and American collaboration to study interactions among the Climate, Cryosphere and Carbon release from the sediment. The expedition will take place in two legs. The first leg, July 6 through August 20, with Semiletov as Chief Scientist, covers Tromsø, Norway to Barrow, Alaska, along the coast of the Russian polar sea. Researchers will study methane held in permafrost and gas hydrates in the East Siberian shelf seas. The SWERUS-C3 expedition can be followed on its website, updated regularly with tweets from the Swedish icebreaker Oden, including location and course changes. See website in sources. 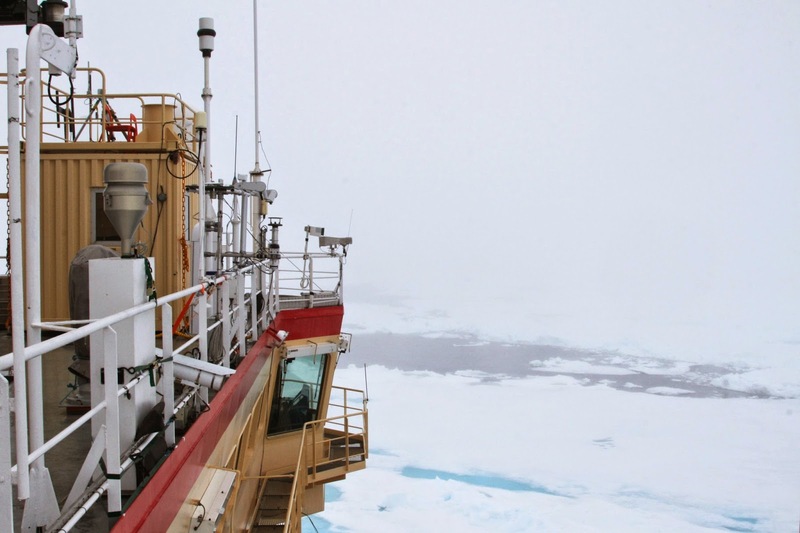 "1) Our first observations of elevated methane levels, about ten times higher than in background seawater, were documented already as we climbed up the steep continental slope at stations in 500 and 250 m depth." 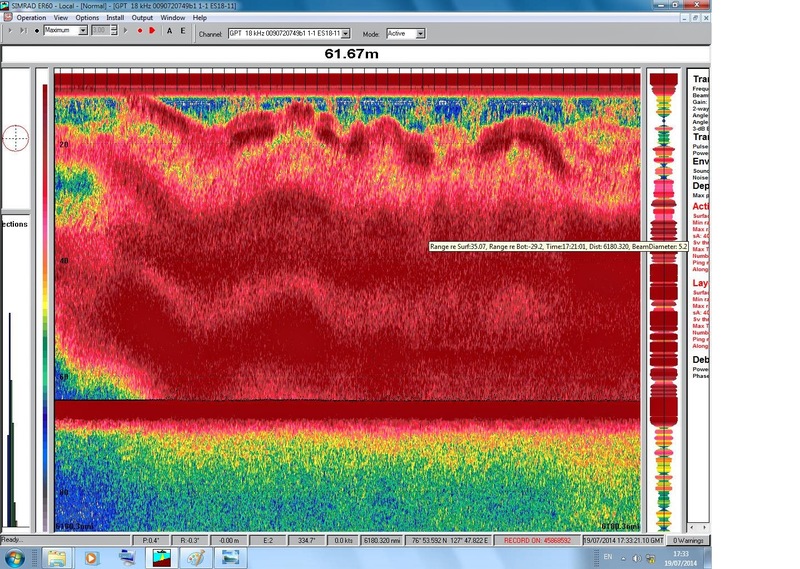 "2) Using the mid-water sonar, we mapped out an area of several kilometers where bubbles were filling the water column from depths of 200 to 500 m. During the preceding 48 h we have performed station work in two areas on the shallow shelf with depths of 60-70m where we discovered over 100 new methane seep sites." "We see the bubbles on video from the camera mounted on the CTD or the Multicorer. All analysis tells the signs. We are in a Mega flare. We see it in the water column we read it above the surface an we follow it up high into the sky with radars and lasers. We see it mixed in the air and carried away with the winds." First, a lot of Arctic methane science is being done, and sources about that research are even more available than in the past, especially for the SWERUS-C3 expedition. Semiletov's and Shakhova's research premises are being fully supported by the initial discoveries of new methane seeps. How much methane released from 60-70 meters is making to the surface is yet unknown. We will learn alot about Arctic ocean methane release in the next few months. More importantly, at least some information will be made available almost real-time. I wrote to the contact given for the flask sampling, and the gentleman wrote back that there had been a glitch. The data are now all updated. This has been coming at us for a very long time (e.g., we started seeing CH4 bubbles in the Arctic 20 years ago) and it is very important. Yes, some research is finally being done, but do we have any confidence that we understand how the CH4 release situation has changed changed since 2007? Unless we can say that we fully understand how the seeps have changed in the last decade, then we are not paying attention to one of the most important issues of our time. We are under-funding science that will affect everyone massively in the next 50 years, while we spend relatively more money on big science projects such as particle physics and astronomy, that will have less practical effect on our lives over the next 50 years. Do not get me wrong here, understanding solar flares, gamma ray bursts, and comet impacts are vital to maintaining a civilization. However understanding all the feedbacks from AGW is as important, and currently more urgent.